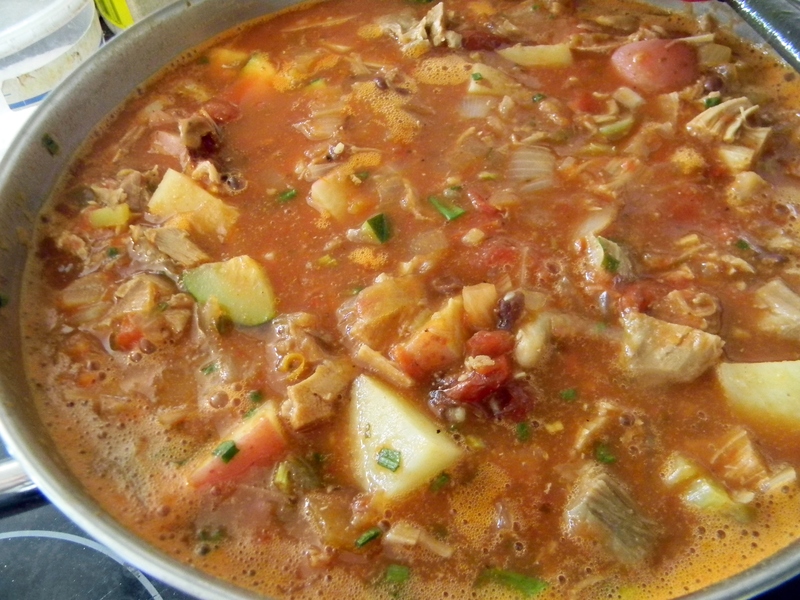 Turkey Taco Stew | What Smells So Good? Spring cleaning in an interesting animal. On one hand, you get that sense of satisfaction out of a job well done and there's a pristine slate for the rest of the year. On the other, there is always a twinge of guilt when you come across those items you bought (either deliberately or on impulse) and then squirreled away for that day that never came around. Cleaning out the pantry every few months is no different. I'm always amazed at the vast quantity of stuff that our deep cabinets can hold, but when I see the small pile of items that have passed their expiry or have absolutely no use to our household I feel awful for wasting food that other deserving people could have eaten instead. Granted, if I do come across cans, boxes or bottles that are still within their dates, they go into a donation box - but still, the spirit of frugality that was drilled into me from day one takes a hit. The reason I bring this up is not only because we're in the throes of Spring itself, but because I went on a massive pantry-cleaning spree last week and came up with 4 cans of salsa. For a family who doesn't currently thrive on tortilla chips or tacos, it was a revelation as to just what "jags" we go on. Two of the jars were homemade - my Medium-Hot Chunky Salsa in fact - and the other two were an organic black bean variety I bought on sale downtown a few months back during a "salsa on everything" kick. I wasn't about to throw any of those out, but couldn't think of a good use for all of them until I came across a bag of chopped turkey meat and a container of homemade roasted tomatoes in the freezer. I hit the store for a few fresh ingredients, whipped up a batch of salt-free taco seasoning, and tossed everything into a pot. In under an hour, a chunky, thick and filling pot of goodness was ready for the bowl - and no waste! Add onion, carrot, pepper and zucchini and cook 10 minutes, until they begin to brown. Add garlic and cook 2 minutes longer. Stir in the water, tomatoes, salsa, potatoes, green onion, chives, nutritional yeast and taco seasoning. Bring to a boil, then reduce heat, cover and simmer 30 minutes, until vegetables are tender. Add the turkey, re-cover and cook 10 minutes longer.